We tested the LG Tab Book H160 at CES. 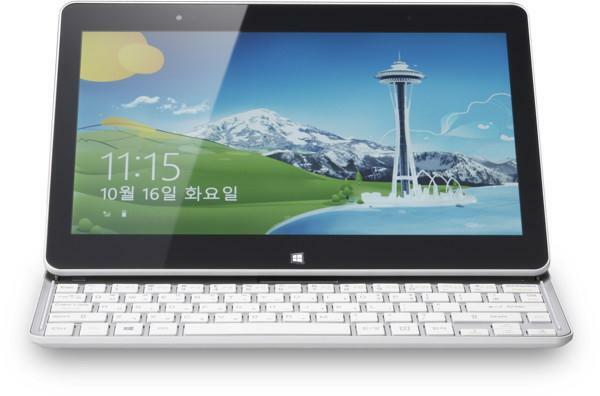 The tablet can be turned by pressing a button in a netbook and has a beautiful display. The IPS display is 11.6 inches tall and dissolves with 1366 * 768 pixels. The display makes a very good impression. The tablet is powered by a strong 1.8 GHz Intel Atom Z2760 processor, which is supported by two gigabytes of RAM. 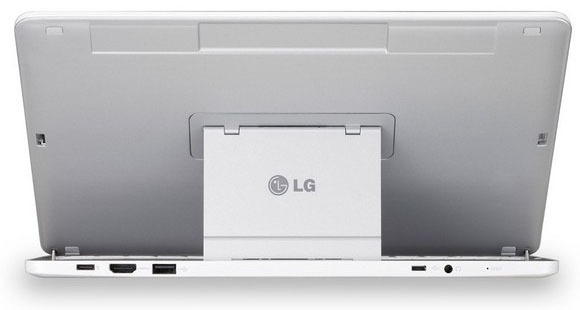 In addition, the LG Tab Book H160 has a 64-gigabyte SSD. With a microSD card, the memory can be expanded. Connections include the LG Tab Book Bluetooth, Wi-Fi (802.11b/g/n), HDMI, one USB 2.0 port and a microUSB connector and a headphone output. The tablet is really interesting, however, only at the press of a button. When this is pressed, the screen moves up and a keyboard is revealed. This should also slightly longer texts without any problem. On a touchpad was waived because Windows 8 can operate very well with the touch screen. The tablet is currently available for $ 799 in South Korea, when and for what price, the tablet will also be available to us at the moment is not yet known.